IMM is the acronym of Integrated Modification Methodology, an innovative design methodology based on a specific process with the main goal of improving the CAS (complex adaptive systems) energy performance, through the modification of its constituents and optimization of the architecture of their ligands. Its approach is fundamentally Holistic, Multi-Layer, Multi-scale. 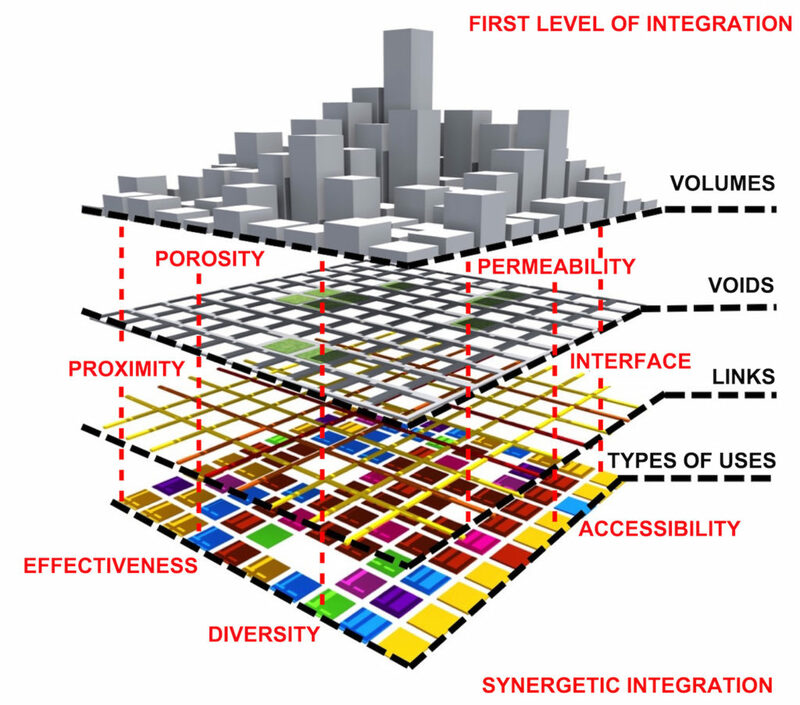 In this methodology, the city is considered to be a dynamic Complex Adaptive System comprised by the synergic integration of number of elementary parts, which through their arrangement and the architecture of their ligands provide a certain physical and provisional arrangement of the CAS. 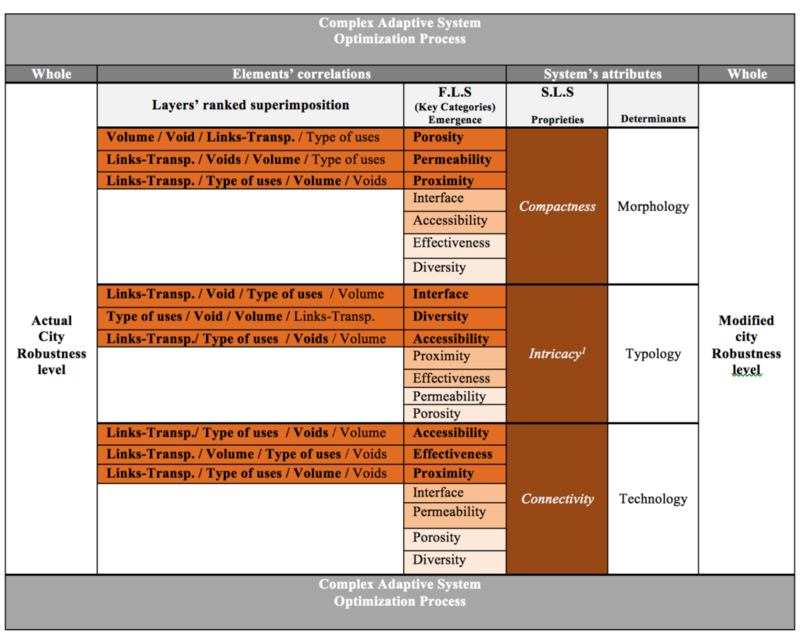 In IMM the emergence process of interaction between elementary parts to form a synergy is named Key categories. Key categories are the products of the synergy between elementary parts, a new organization that emerge not (simply as) an additive result of the proprieties of the elementary parts. When we alter the interaction between elementary parts recombining them in a different way different organization emerges but it also may be lost. This explains that added proprieties emerge just when the combination is right.According to this view, the city is not solely a mere aggregation of disconnected energy consumers and the total energy consumption of the city is different from the sum of all of the buildings’ consumption. This considerable gap between the total energy consumption of the city and the sum of all consumers is concealed from the urban morphology and urban form of the city. 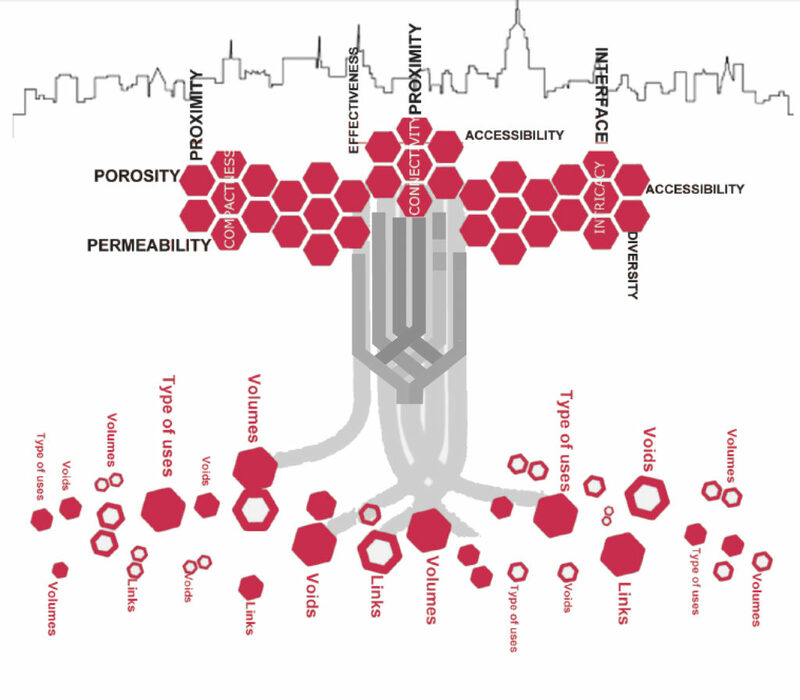 The IMM investigates the relationships between urban morphology energy consumption and environmental performances by focussing mostly on the ‘Subsystems’ characterized by physical characters and arrangements. The main object of this design process is to address a more sustainable and better performing urban arrangement. IMM methodology is based on a multi-stage process composed of four different but fully integrated phases. 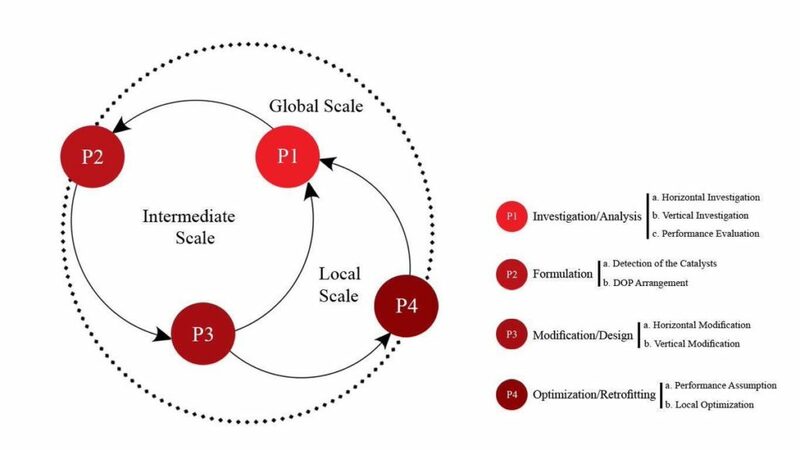 IMM methodology through an interconnected Phasing Design Process shows how incorporating a wide range of issues makes it possible to improve the metabolism of the city as well as its energy performance. It is intended to assist designers and decision-makers, providing them a fully-integrated design process plus a set of Design Ordering Principles to transform an existing urban context into a more sustainable one. According to the definition, local changes in system’s parts produce a chain reaction that ultimately will change the system globally. Relying on this principle, IMM tries to envision the indirect effects of the limited interventions beyond the local scale/subsystem, and explain how a collection of small changes can produce considerable performance improvements in energy efficiency, environmental protection, and social well-being in our cities. The core of the methodology is an iterative process comprised of four main phases. Investigation, being the first phase, is basically creating a model out of the urban system. Just like any other system, built environment is characterized by including parts and subsystem between which there are complex relationships. Accordingly, in Investigation phase, the system is being broken into its parts. 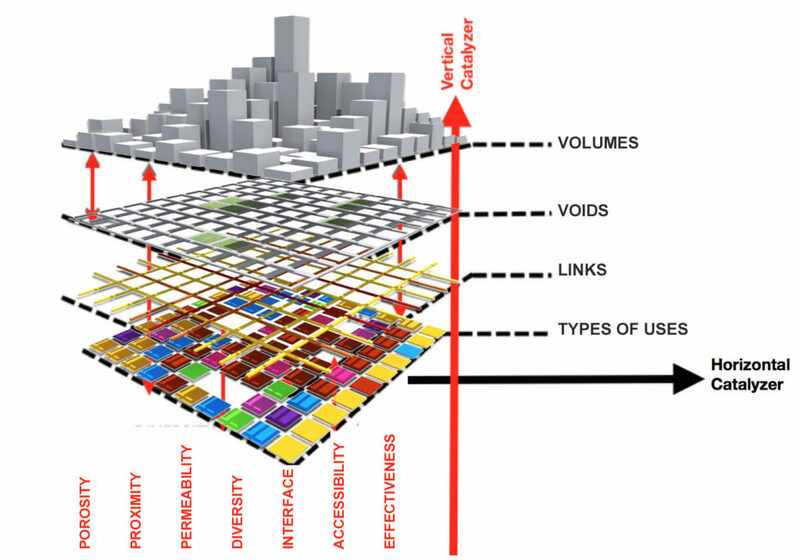 Morphologically speaking, these parts for the cities would be Urban Volume, Urban Void, Links, and Types of Uses. After analyzing the mention subsystems individually, the synergy between them is being investigated. Key categories are types of emergence that show how elements come to self-organize or to synchronize their states into forming a new level of organization. Emergence is something new that can‘t be described by the description of the parts. Emerging properties are the product of the synergies between the parts. In IMM Key Categories are namely: Porosity, Permeability, Proximity, Diversity, Interface, Accessibility, and Effectiveness. Numerous properties of the urban environment like the physical arrangement of the building blocks, car dependency, connectivity, functional arrangement and the performing manner of the public transportation are being examined here. One of the most important goal is this stage is the evaluation of the current energy performance of the CAS. Hence 12 set of Indicators will be used for achieving this result, and then the same indicators will be used in the CAS retrofitting process necessary for the final evaluation of the system performance, after the transformation design process. It is important to emphasize that the set of 12 Indicators are also connected with a series of design principles, named design ordering principles (DOP), tools used to arrange later the structure of the CAS. Assumption is the second phase and in this part, the malfunctioning subsystem is identified and takes the role of the transformation catalyst. It means that any intervention with the purpose of optimizing the system should start with improving the weaker subsystem, and only through the catalyst, the scope of the transformation is being defined. In this way, design principals for any project are locally defined according to its very particular situation. The CAS is composed by a hierarchy of multiple levels of organization. Considering that at any particular scale, the system is actually a sub-system, the cross-scale effects have a great significance in the dynamics of CAS. Meanwhile, the chosen Catalysts plays a tremendous role in the IMM. From the selection of one layer as horizontal catalyzer and one key category, as vertical catalyzer the reaction of the system starts, driving the local modification and activating the system’s transformation. It is clear that the choice of the catalysts depends on the investigation phase. The catalyzers choice as a first driver of the transformation is the main goal of this phase, assigning respectively to the selected subsystem and key category the catalyst role and to the others the reactants one. In this second phase the DOP plays a great role. They are tools/instruments used to arrange the structure of the CAS. The application of these principles intends to modify the structure of the CAS and consequently affect its performance. DOPs are not a fixed list of design recommendations but a dynamic and active structure of integrated Design Principles every time being arranged in with consideration of the specific conditions of the CAS and specifically organized to deal with the local weaknesses of the system. In particular their role is to modify the malfunctioning of the individual components of the CAS, responsible of its own actual performances. Therefore, rather than being a list of universal commandments, they address the issue locally, and by their local-oriented arrangement they lay the foundation of transformation. Thanks to a driver (catalysts) a local modification (horizontal modification) marks the starting point of a chain reaction (horizontal and vertical modification) towards the global transformation of the CAS. Actually due to the fact that CAS is composed of four subsystems, we consider its state as a synergic integration of products of the subsystems’ states. In the third phase, Transformation, various modification scenarios are being tested to the project by means of the same modeling mechanism that is hired in the Investigation phase. Compared to the actual situation, these scenarios are being evaluated and tested over and over until an acceptable modification scenario results. The outcome of this phase will be subjected to retrofitting strategies in the Optimization phase which is the fourth phase of the IMM. At this point, although the system is expected to perform much better than it does in the actual situation, but the transformation is not over whatsoever. Transformation is an endless process and the system just converted to a new threshold. IMM approach to sustainability is aligned to the 17 UN Sustainable Development Goals 2030. Accordingly with our approach, cities are regarded as complex adaptive systems and the focus is on simulating their operative mechanisms involving both the internal subsystems and the external systems that the cities are part of. 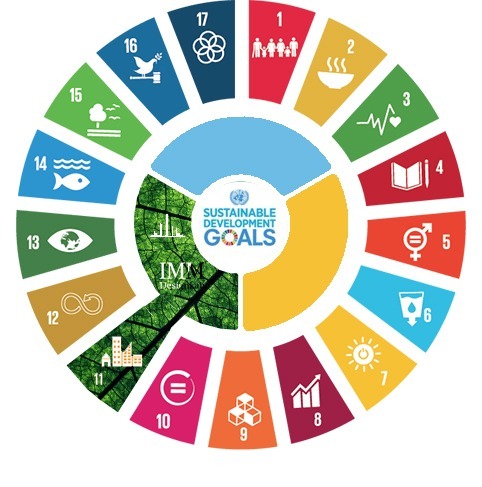 The result will be a methodological interpretation of the SDG Number 11 suggesting locally-based actions robustly linked with SDG indicators and evaluation methods. Moving from the SDG 11, as the main catalyser of our action IMM systematically correlates all the other SDGs in a holistic way.